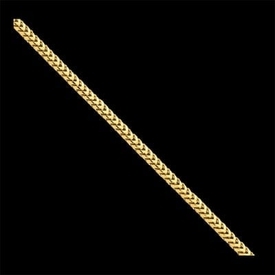 Our Franco chain is 14k Yellow gold and available in a large variety of lengths and widths. You'll love this great looking sturdy design. Chain features a polished finish. A very durable chain great for pendants or beautiful enough to wear along. 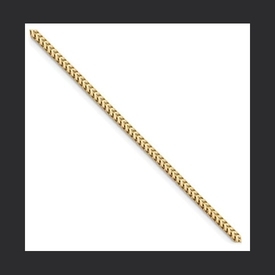 Price shown is for the 2mm width 16" length weighing 10 grams. The 2.5mm width also listed here.